One of the most rich Directory Access Technologies of Microsoft is the Active Directory Service Interfaces (ADSI) which is a set of interfaces designed to access the features of directory services from different network providers, in this case we will use the WinNT Provider to access the shared resources of a local or remote machine. The aim of this post is show you how you can obtain the information related to the shared resources from a Delphi application. 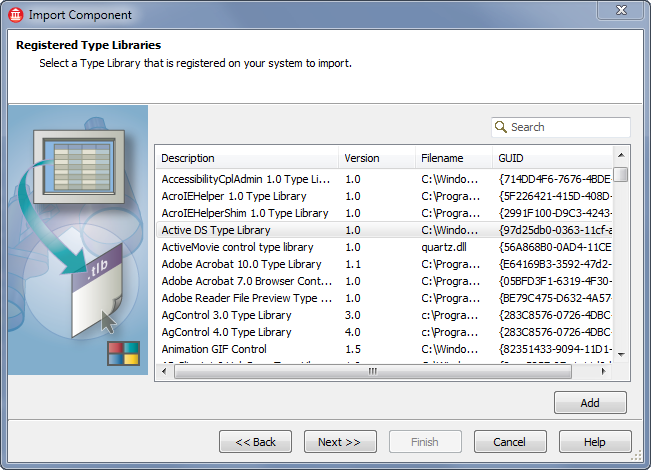 The common way to access the ADSI Interfaces from Delphi is importing the Active DS type library. In addition to the interfaces we need the ADsOpenObject function which allow you binds to an ADSI interface. To list the Open Sessions (Machines connected) to the shared resources we must use the IADsFileServiceOperations interface and the Sessions function which return a collection of the open sessions for the service. To List the opened resources like folders and files we must use the IADsFileServiceOperations interface and the Resources function which return a collection of the open resources for the service. Finally to List the shared resources we must connect to the local or remote machine using the ADsOpenObject function passing a IADsContainer interface which return a collection with the resources. This is the full source code of a console application to show all the tasks described in this post. Categories: ADSI, COM, Delphi, Networking | Tags: ADSI, COM, Delphi, Networking | Permalink. Hi RRUZ. I am having problems with proper usage of your code, I guess. What I am trying to do, is to list shared resources on the other computer in my domain. However, I am getting OLE Error 80005004 which means that “An unknown Active Directory object was requested”. And it still does not work. Any idea why? Check this link Generic ADSI Error Codes, which list the Description and a Corrective Action to fix the issue. Ok, again problems with resolving computer name under domain, I’ve changed it to the IP and it’s working on local machine. I need to check if the Server service is running on the other- maybe that is the problem. But what is the reason of the path not found exception? If you are talking about the error 80070002, this error is raised when you enumerate the collection of the objects returned and one element is empty. (Resource.Path=”) you can ignore this exception without problems. this exception not only occurs in Delphi, Also happens when you uses VbScript or a :net language like C#. so this exception is related to ADSI not to Delphi. I Can’t get it to working. On host machine in my net domain. I have all the credentials needed, but when I try to connect to host from my local machine, ADsOpenObject() is thinking long and then it is giving me 8000500 OLE Error. I’ve checked and the server service is running on the host. So I’ve no idea what is wrong. The error code which you post is not valid (must have 8 digits). please update the code and check against the Generic ADSI Error Codes. As additional advice to check credential and comunications problems with the active directory service from a remote machine, try connecting to the remote machine from the computer management option of windows from the client machine. Thanks, the code was 80005004. So it is either wrong object name or acces rights. It is a shame that microsoft doesn’t distinguish those two things, it would made life easier. I’ve checked conneciton with other computer by the tool that you have suggested and I have error “Server RPC is unavalaible”. So perhaps the host doesn’t have DCOm enabled or I do nto have right to this DCOM.